The dad responsible for the viral last year of his baby daughter running around in a homemade glowing stick figure costume is at it again. Now, dad has returned with a 2.0 Disney inspired costume for this Halloween. 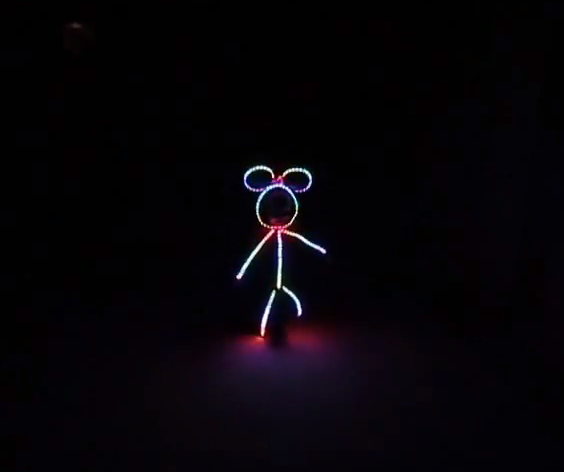 The same LED-type costume was created, but this time he added two ears and a bow on her head to make her a stick figure Minnie Mouse.